Specialized odor neutralizers break down and eliminate offensive odors, while quickly evaporating, alcohol-based fragrances keep your area pleasantly scented. Patented release actuator distributes a fine, dry mist, ensuring maximum dispersal. Long-lasting refill is good for up to 3,000 metered releases when used with Microburst 3000 dispensers. 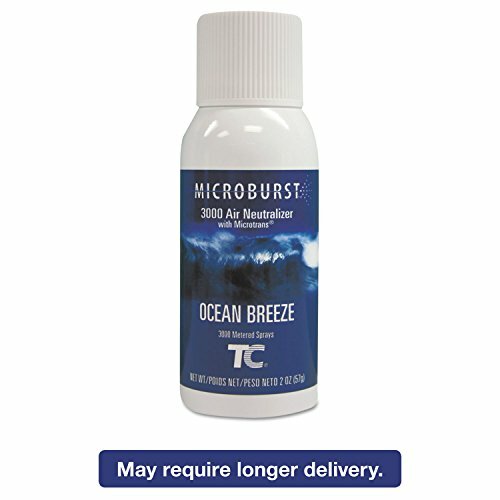 Scent: Ocean Breeze; Physical Form: Liquid; Application: Automatic Odor Control. ~ Includes 12 aerosol cans of air freshener.